The Metal Max series is a long-running JRPG franchise centered in a barren wasteland, devoid of any natural life and where your chances of survival are intrinsically linked to however much fuel you have left in your tank. To date, only one other of the Metal Max/Metal Saga games has been localized into English, dating back to Metal Saga on the PlayStation 2. The combination of on-foot and armored tank combat have given the series a unique touch to give it some identity among the dozens of other Japanese RPGs that release every year. 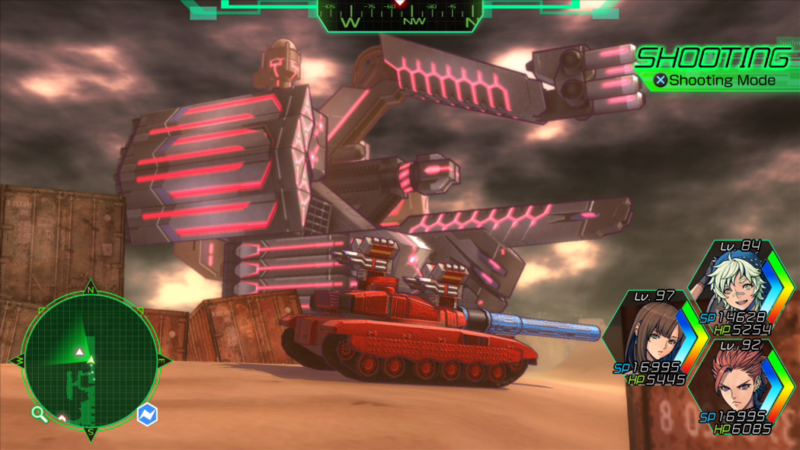 Now, more than a decade since the last entry graced Western consoles, Metal Max Xeno has returned with a new wasteland adventure from the publishing team at NIS America. Unlike Metal Saga’s open-ended design in terms of story and progression, Metal Max Xeno follows a fairly linear course through the Tokio wasteland. As Talis, a young man who’s seen his village destroyed by a giant mechanical tank and cursed with a half-robotic body, his taste for revenge won’t be satisfied until every last SoN and Catastropus, the monster tank that’s the source of Talis’ unbridled rage, is reduced to a pile of wreckage. Along the way, Talis encounters other survivors in the wasteland and recruits them to be a part of the Iron City, the very last bastion of humanity left still standing. Those that the player teams up with can either be members of his three-person/tank skirmish team or merchants to sell goods or upgrade the player’s arsenal. That bright red tank adorning the cover of Metal Max Xeno will soon be your closest companion across the Tokio wasteland. With hulking monsters and robots raiding the desolate sands, you’re not going to stand a chance to survive without the metal body surrounding you. 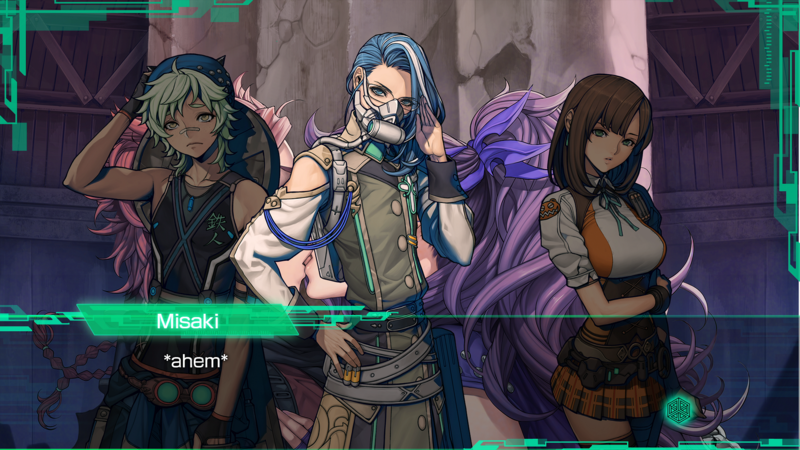 This is quite evident with the size dynamic between your human entourage and even a low ranking tank. More often than not, you’re going to do a pitiful amount of damage, all the while that tank can completely wipe out your party in just a turn or two. If your tank ever breaks down and you’re finding yourself having to book it on foot, running away from battle is probably your only course of action if you want to live to see another Tokio sunrise. Customizing your tank allows for a pretty deep level of strategy in Metal Max Xeno. Everything from the body type to individual weapon slots can be customized to suit your playstyle. A couple of solid examples to add to your three-unit squad are a well-rounded body with cannons and unlimited ammo MG’s or perhaps anti-air artillery unit loaded with area-of-effect ordinance, customized to unload all five weapons at once in a single round. Some of the tanks you’ll uncover in the wasteland come pre-equipped with a full loadout, and while you can’t customize those, you can sometimes modify them to reduce the weight in exchange for a reduced defense score. Finding that proper balance between machine weight and engine output is hugely important, as the surplus energy that your tank provides equates to that tank’s HP pool. And without a lot of opportunities to heal your tank in the midst of battle without having a character of the Mechanic class, you’re probably going to take a few direct hits before the enemy goes down. Early on, your freedom to have whatever tanks you want in your party is fairly open to however you want to build your team of metal machines, but that window of freedom slowly closes the higher level you go. Enemy foes quickly grow exponentially stronger and the wandering bosses that adorn wanted posters throughout the land won’t go down with just your average cannon shots. Learning to min-max your potential and figure out how to balance firing as many weapons you can per turn without overloading your tank and sapping out all of the energy from your engine is a delicate dance that experienced players will have to get creative within the latter half of Metal Max Xeno or subsequent New Game Plus runs. Those tanks that come preloaded with a full arsenal can usually be a reliable source of damage, assuming you have a characteristic chip loaded into it that allows firing every weapon in a turn. Even if you only have one or two powered up tanks to work with, that can be even more important than using three average units. Depending on the body type, you can have multiple characters ride in a single tank and use that tank’s arsenal each turn if you find just one copy of an incredibly strong weapon. 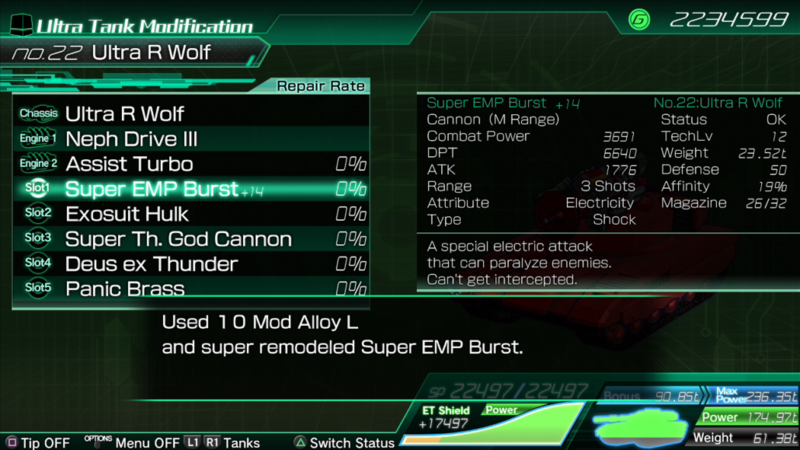 Step outside the tank and you’ll quickly see the faults that surround Metal Max Xeno. Much of the planning and customization that comes with the vehicular combat falls apart when that aspect is stripped away. The various dungeons that litter the Tokio landscape are copied and pasted with the same palette of concrete rubbles and overgrowth with little to no reason to ever return once you raid the depths of their precious booty (all items of interest are always marked on your map, so exploration doesn’t feel all too meaningful). Occasionally one specific enemy in each dungeon can carry an incredibly useful upgrade, such as a helmet known as the King’s Crown that’s earnable in one of the first few dungeons and can easily last through the end of the game with how much defense it offers. The same turn-based combat works whether you’re in a tank or on foot, but the latter has a few other options to mix up the battle. Each character can equip up to three weapons at a given time, each with their own attack ranges or elements and a limitless pool of ammunition, as well as skills unique to that particular character class. Class skills themselves operate on an archaic D&D design of having limited castings per skill until you return back to the hub city and rest with no way I’ve found to recharge these skills on the go. Unless you’re fighting a boss or unique Wanted monster, you’re barely going to use anything more than whatever weapon can either attack multiple times or can target as many enemies at once. What gives Metal Max Xeno a unique strength to stand out among the growing roster of PS4 RPG’s is by way of its New Game Plus mode. Dubbed Hunter mode, this additional mode allows the players to carry over just about everything they’ve earned and play through the adventure once more without having to worry about silly things such as recruiting party members again or playing through story beats once more. In fact, you can replay the entire adventure without needing to leave the safety of your tank (although I’d *highly* recommend making a stop by Vlad East to pick up a rare enhancement chip called ‘Triple Header’ to massively increase your damage potential on your tank’s primary weapon). Repeated playthroughs each unlock a progressively harder difficulty, and while it’s not necessary to play through any fight save the final boss on that higher difficulty, it does greatly increase your earned experience and gold offset by enemies having a much higher HP and damage potential. Each new loop also adds t the bounty list of wanted bosses, giving new challenges if you stick with Metal Max Xeno long enough. Complete the game enough times and a final difficulty, strangely translated to ‘Impossible’ creeps up; on this difficulty, players earn five times the experience and gold but without any additional challenge brought about with the other difficulties. Metal Max Xeno’s desolate landscape is equally matched by the few survivors left alive after the great collapse. One way or another, the surviving humans make their way to Iron City, the only stronghold that hasn’t been overtaken by the mechanical foes. Sadly, these characters that wind up being your fellow party members and NPC allies that can repair/restock your goods are incredibly one-dimensional. For being the last human survivors left alive, they’re only driven by two key motivations: killing and procreating. Nearly every conversation you’ll have with your brothers- (and sisters)-in-arms revolves around these two core tenets of human nature, often played for comedic effect. Even the main character shoos away any attempt at human contact or building rapport for the team as his only driving motivation is to kill every last robot to take revenge for the death of his family. A silly little thing like love or affection isn’t going to distract him from his goal, leaving the main character feeling fairly one-note. 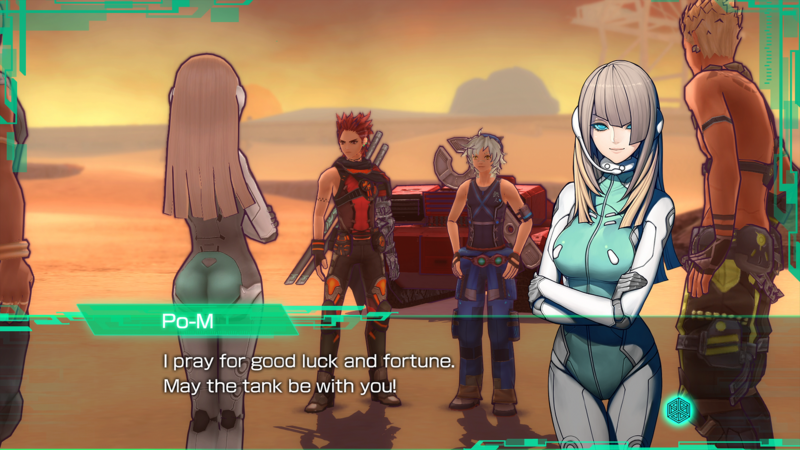 Overall, the translation to Metal Max Xeno works well and plays the comedic moments to be the strengths of an otherwise mediocre tale. With little driving focus to move the story forward, those moments at least breathe in some life into an otherwise stale narrative. 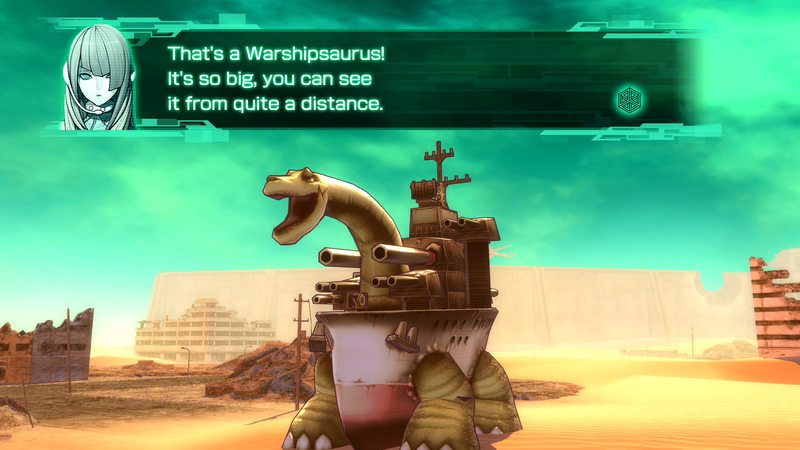 However, the deeper you get into Metal Max Xeno’s story, the more those comedic spotlights lose their luster. An off-handed joke about the last virgin on Earth might have been amusing the first time it’s brought up in the story, but repeating the same off-handed comments over and over just really nails how little imagination and inspiration went into creating this wasteland adventure. If I had to pick just one word to describe Metal max Xeno, it would be ‘familiar’. There are some really interesting ideas in play with having both tank and ground combat for an RPG, but neither particularly stand out as innovative or even fun. When you add in a story and characters that neither engage nor make the player think about the greater world, you’re left with a landscape as desolate as the sands that have overtaken it. Metal Max Xeno could have been great but very rarely did this JRPG neither wow nor disappoint me, instead feeling so similar to the decades of JRPG’s that have come before it. Yet, despite how uneventful the Tokio wasteland had been, I still found myself sticking through nearly a hundred hours and five full playthroughs to earn that platinum trophy. Reviewed on PlayStation 4 Pro (code provided by the publisher. You can purchase the game on Amazon. Metal Max Xeno is one of the most average RPG's I've played in a long while. It's almost a comfort food in a strange way: warm and familiar but without any spice.